Web designers and web developers should always work hand in hand on a project. This sounds like pure logic, and you could think that this is the way it usually goes. Sadly, this is too often not the case. The designer creates the layout, works on new buttons or an elegant typography. 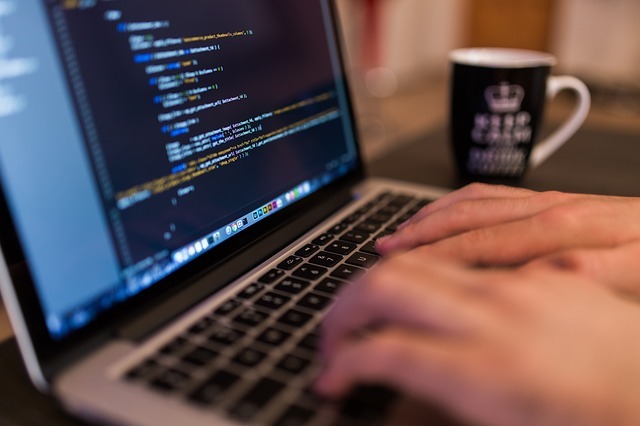 The web developer, however, works on the execution of the designs using code. But here is the rub, as this division of labour can cause problems from which the final design will suffer. When the sections design and development work together from the start, a product with clean code and great aesthetics will be the result. It can also be assumed that only a fraction of the time needs to be invested as almost no rework will be necessary. Designers usually use programs such as Photoshop to sketch a web design. Web developers, however, have the task to convert this design using HTML, CSS, jQuery, PHP, and other programming languages. In a design agency, both of them could work in the same room, but they could also work from different countries. Usually, neither of the two can create a complete website on their own. That’s why the two occupational groups should work hand in hand and coordinate the process together to create an optimal result. The most important reasons for close cooperation are enhanced progress in the project, as well as the best possible outcome. Designers should get informed quickly when a particular part of the layout can not be executed. Web developers need to know how precise they need to work to convert the desired design as accurate as possible. Because the interactions of a web project not only need to fit but also need to look appealing. When interaction designers are also working on that project, they need to be kept involved as well. When all participating members are under one roof, meetings can be organised. That’s the best case. But even when designers, developers and interaction designers work from different places all around the world, Skype conferences can be set up, and files can be shared via Dropbox or other services. Another set of eyes can find potential mistakes. Creative brainstorming allows for a more thoughtful design. Designer and developers get to know the problems and worries of each other. A stable design. Everything fits and no compromises become evident. Every party can empathise with the other occupational group much better. A multitude of ideas is combined to one perfect whole. 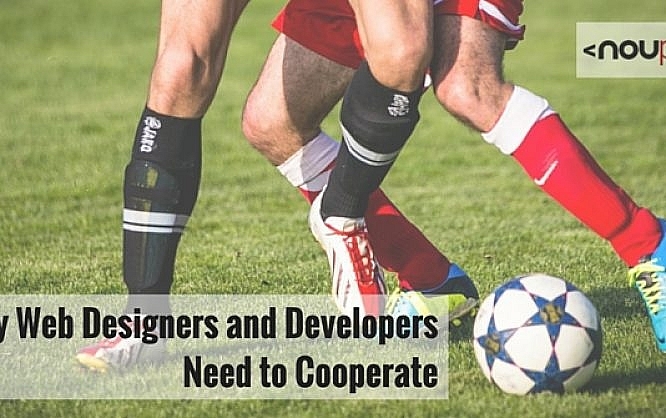 It would be quite naive to believe that there are no disadvantages of cooperation between designer and developer. There are some. But they are just a few and can be taken care of rather quickly. The costs of a project can increase a little, especially when the parties don’t work together in one agency or location. Then, equipment to share the files, as well as solutions for virtual conferences, are necessary. But usually, you can get over the extra effort. Of course, there are people that simply can’t stand each other. However, we are all adults and should be professional enough to deal with that. Everything starts with clear communication. Web designers and developers need to think about the project first, then about the big picture. This is the case for all decisions throughout the entire development process of the website. Of course, you won’t be able to win every fight, but that’s not what this is about. A good teamwork is like a working marriage: you need to make small compromises now and then and choose the path that both parties can go while keeping their faces. When designers and developers are in one place, a good start would be to have lunch or drink a coffee together. Get to know your new »partner«, before starting to work. Talk to him about the different possible work processes and decide on one process together. This helps the both of you. From time to time, everyone working on a project should check whether the project is still going the way it was originally supposed to and whether you are still within the given time frame. When criticism is necessary, it is important to voice this criticism as constructive as possible. Nobody should be hurt by this criticism; it is always to be dedicated to the project. Thus, always be open for forms of feedback yourself. It will improve you and the project. Give a short but concise introduction to the design theory of the project. This will help the web developer to better understand where the aesthetics come from. Always look at the interactive elements as a complete item. All stages of interactivity have to be designed. Always design something complete. Don’t expect the developer to copy and edit things. When something doesn’t exist, the developer can not convert it. Ask for help. When you are not sure on using a certain font or something similar, just ask! You developer will be thankful. Always deliver all data in a format that the developer can work with and pay attention to achieving a sufficient resolution. Learn the basic keywords of design. Knowing the essential terms is a good thing to be able to work with the designer much better. Be true to yourself and admit when you just can’t execute something. It’s better to let your designer know early than too late. Be available for questions and help your partner throughout the entire designing process. Be involved in the designing process from the start. Help brainstorming when you have ideas. Ideas are especially welcome when designing a user interface. Stick to the integrity of conception. This also applies to parts or areas that you don’t like. Don’t change any aspect of the layout without consultation, or you will make enemies. Changes will only be made after consultation and for technical reasons. To reduce the gap between designers and web developers a little, both groups should adapt a small part of the other group’s abilities and also speak their language. Web designers and developers should complement each other’s skills. Just to make sure you know what I mean, it is not necessary to study the other’s abilities but to have a solid basic knowledge that can be learned quickly with the help of the other professional group. The final product will improve significantly. Ideas are combined creating optimal results. The developing process is much faster when designers and developers work hand in hand. Every change in design or code can quickly be adjusted for the project. Potential mistakes can be found and thus removed faster. Designers and developers grow with each other. This contains great potential. Every part of the website looks as if it was made from one piece. Fewer problems occur when you can empathise with each other. Optimal teamwork saves money. The development process is accelerated significantly. The question is not really if and why web designers and web developers should cooperate, but how. This also answers the question how the development process of a website or web app can be improved. Only when we understand the tasks of the other, we can work together effectively, fast and determined. At the end of the day, both designer and developer only have one goal: creating a genuinely useful website. However, web design is web development and web development is web design. This is what needs to be in everyone’s head. The development of a genuinely excellent website has become increasingly difficult over the past years. 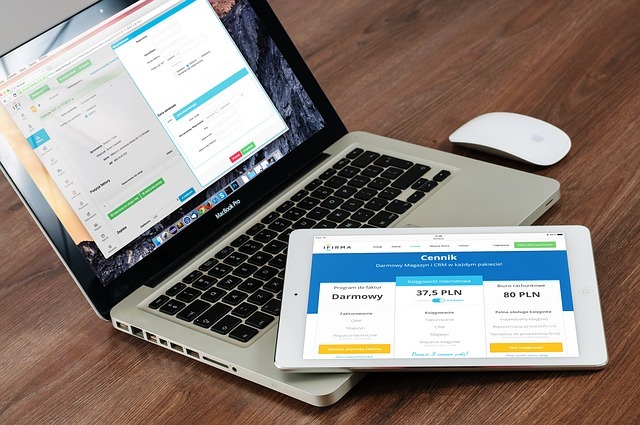 Creating a great website means effort. The competition doesn’t sleep, and the user expectations are steadily growing. But when we work hand in hand, we can master this challenge in the best way possible. I agree with you, there just doesn’t seem like enough cooperation from my experience. The title picture says it all. 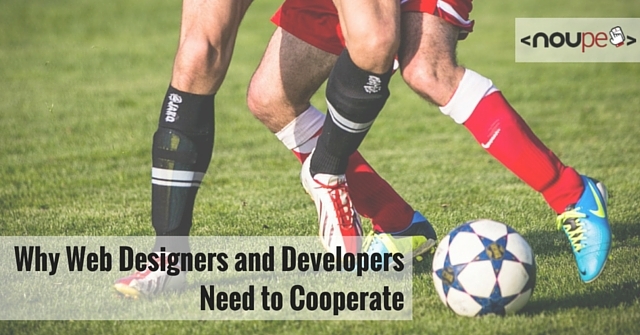 Just like in football, web designers and developers must cooperate with each other to get a 100% unique output. 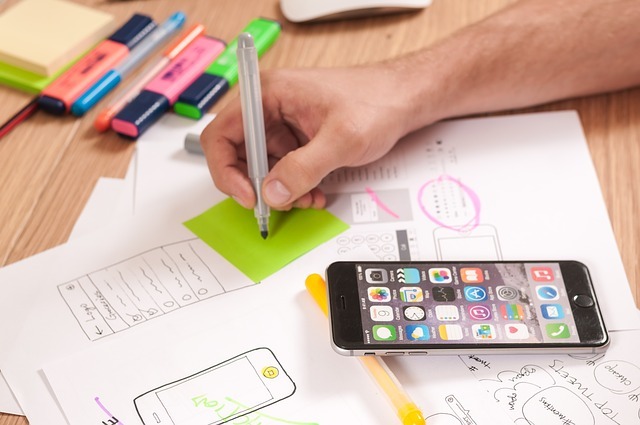 Better products are the result of one team, and designers and developers must cooperate, because what it really matters in the end, is the visitor and client experience.